At Lower Heath, handwriting is a key focus from the moment the children begin to mark make. We use a nationally recognised programme called Read, Write, Inc to support the development of early writing. Read Write Inc, developed by Ruth Miskin, provides a structured and systematic approach to teaching literacy and is designed to create willing writers. 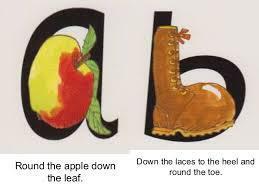 Every letter in the alphabet has its own rhyme and picture to enable children to remember the form of each letter. 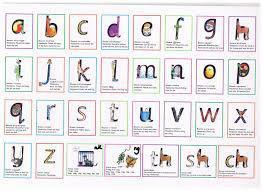 RWI is used with Nursery, Reception and Year 1 children to introduce and develop correct letter formation. This is used alongside Jolly Phonics for the development of reading. Nursery: In Nursery, letter formation is initially supported by the development of gross and fine motor skills which enable children to strengthen the muscles required for a good pencil grip. Children are encouraged to develop gross motor control through the use of large equipment for mark making such as big chalks, paint brushes, finger paints, shaving foam etc. This is further supported by weekly sessions of Sportscape and Yoga. Children will also develop their fine motor skills in daily sessions such as Disco Dough, and use a range of mark making tools such as pencils, pens and crayons to experiment with. The children will initially learn to form the letters in their own name and then, during daily phonics sessions, progress to form their letters correctly using Read Write Inc’s guidance on letter formation. They are encouraged to talk about shapes and movement and recite the RWI mnemonics (letter formation rhymes) as they form each letter. Reception. Children will continue to be taught to form letters correctly alongside their phonic development, using Read Write Inc’s mnemonics to aid the correct letter formation. Our aim is that by the end of the Early Years foundation stage all children hold a pencil correctly and form all letters and numbers correctly. When teaching letter and number formation, we provide a range of activities to enable our children to develop their skills by using whole body and limb movements to trace out patterns and letters in the air and multi-sensory methods and materials, (including finger lights, tracing on different textures, writing on wipe boards, writing over highlighter pen, writing in sand with finger or stick, chalk on chalkboard). Initially children in the EYFS will use unlined paper as the focus is correct formation rather than size or positioning, as they progress through Reception, lined English books are provided. Children receive instant feedback when errors in pencil grip or formation are seen. In Year 2, adults will model cursive writing from the beginning of the year. The children will be encouraged to develop the basic joins which they should transfer into all their independent writing. They will also continue to link their handwriting to their phonic development as they learn to write new sounds using a cursive writing style. The majority of children will write legibly, using upper and lower case letters appropriately with correct spacing between words. They will form ascenders and descenders consistently and correctly, practising writing at speed. In the EYFS and Year 1, teachers ensure that their modelling of handwriting reflects the RWI letter formation and in Years 2-6 the Nelson handwriting scheme, at all times, both in marking and in the classroom. They regularly demonstrate, talking through the process of letter formation and joins, encouraging children to do the same. Classroom displays and resources enable and encourage children to follow correct letter formation. In all classes, teachers relay the importance of excellent presentation and encourage children to take time and care with their presentation, including the formation of number.